New website gives you the real deal on sea level rise and rates | Watts Up With That? 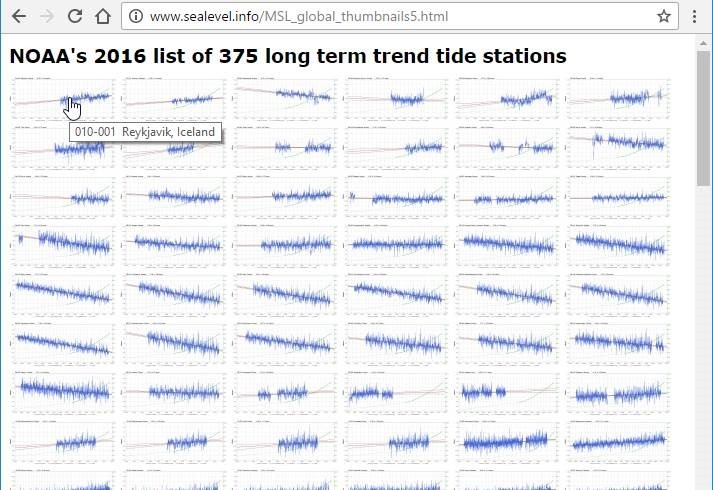 http://www.SeaLevel.info now has interactive regression analysis (line/curve fitting) and visualization (graphing) tools available for mean sea level (MSL) measurements from over 1200 tide gauges, plus spreadsheets which combine various subsets of that data. This article is intended as a primer, for how to use these new tools. Note #1: This is a work in progress. I already have a large “to-do list,” but suggestions & corrections are nevertheless very welcome. Note #2: These tools are my free contribution to the community. There’s no charge to use them. Note #3: These tools are ideologically neutral. One of the inspirations for this site was Paul Clark’s famous WoodForTrees, which provides some similar tools for temperature data. Paul is a lifelong “Green” activist, but to his credit, the usefulness of his site is independent of his ideology. The data shows what the data shows, regardless of my opinions, Paul’s, or anyone else’s. I hope these tools are useful to everyone doing sea-level work, regardless of their views on climate issues. Nevertheless, in the interest of full disclosure, I consider myself a “lukewarmer.” I am a signer of the Global Warming Petition. In my opinion, the weight of the evidence indicates that anthropogenic global warming is real, modest and benign, and anthropogenic CO2 emissions are beneficial to both human agriculture and natural ecosystems. When you visit SeaLevel.info, you’re greeted with a picture of Maui kitesurfers, and a menu on the left. 1. On the “Home” page you can scroll down to see the latest announcements, mostly about the site. There are also links to the usual “About” and “Contact” pages (which might get combined, when I get a round tuit). 2. The “Resources” page is a large compilation of climate-related resources, with an emphasis on sea-level. It includes search tools, glossaries, a climate conversion factor cheat sheet, and links to other tools (like WoodForTrees). 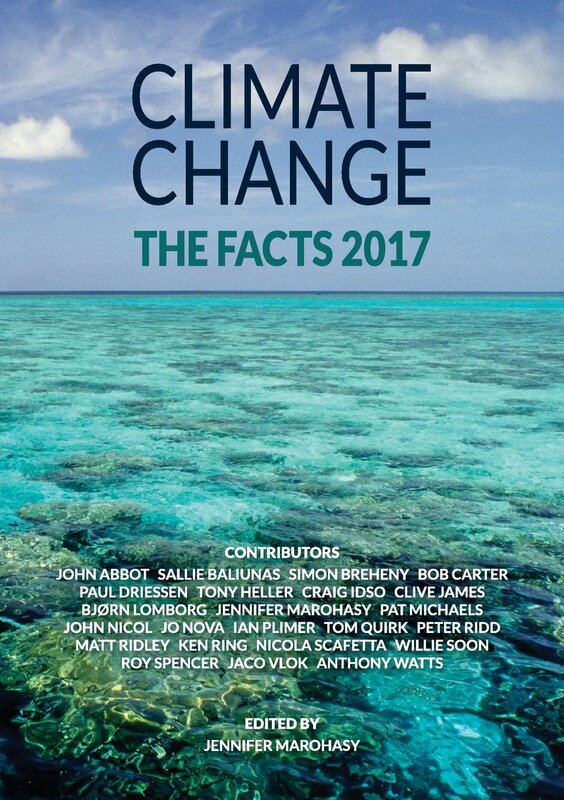 It has a lot of information about sea-level (of course), but also about sea ice, floods, climate reports, climate cycles, temperatures, greenhouse gases, energy, the great North Carolina 2010-2012 legislative sea-level kerfuffle, and more. 3. The “Blogs etc.” page is a list of top climate blogs, plus some other useful climate sites, and a little bit of doggerel. I’ve listed blogs from both sides of the climate debate, though I’ve excluded a few prominent ones which are so heavily censored to prevent dissent that I judge them to be useless (or worse). 5. The “Feedbacks” page has information about feedback systems in general, and climate feedbacks in particular. It is intended to contain a complete list of all significant known or hypothesized climate-related feedback mechanisms. I have a degree in Systems Science, from long ago, which is the discipline that studies such things, and I still remember a little of it. 6. The “Data” page is the topic of the rest of this article. 2. View or download Excel-compatible spreadsheets. 3. View thumbnail pages corresponding to the spreadsheets. 1. Search. You can search for a tide gauge location by PSMSL station number, NOAA station number, or full or partial station location (e.g., “Honolulu”). Currently it just finds one gauge; I plan to add the ability to find a list of stations (e.g., search for “NC, USA” and find all the North Carolina tide gauges). Although the spreadsheets are regular web pages, they have additional information embedded, in Excel-compatible HTML-export format, including formulae for calculating averages, medians, etc., and full-precision (unrounded) numbers. The spreadsheets are compatible with Excel 2003 and later. This excerpt shows the first 11 spreadsheet columns for 13 northern European tide gauges (out of 375 gauges in that spreadsheet). Scroll to the bottom of each spreadsheet to see summary info (averages & medians). If you click a link in the “Location” column (“column D”) of the spreadsheet, it will take you to the sealevel.info analysis page for that tide gauge. If you click a link in the “NOAA stn” column (“B”) it will take you to NOAA’s page for that gauge. If you click a link in the “PSMSL stn” column (“C”) it will take you to PSMSL’s page for that gauge. In the “Trend” and “±95% CI (trend)” columns you can see the result of linear regression (i.e., fitting a line to the data) for these 13 stations. At four of the stations sea-level is falling, at seven it is rising, and at the other two there’s no statistically significant trend (i.e., the 95% confidence interval is larger than the linear trend). In the “Accel” and “±95% CI (accel)” columns you can see the result of quadratic regression (which detects acceleration or deceleration). At two of these 11 locations sea-level rise has been accelerating slightly. At one location sea-level rise has been decelerating slightly. At the other ten locations there has been no statistically significant acceleration or deceleration. At the bottom of the spreadsheet you can see the calculated averages and medians (for the whole spreadsheet). If you download the spreadsheet and load it into Excel, you can do interesting tests. You could, for example, delete gauges which have less than fifty years of data (since the literature indicates that at least 50-60 years of data is needed to determine a robust sea-level trend from a single tide gauge). The Average and Median cells are determined by Excel formulae, so they will update automatically in Excel, when you make such changes. In this screenshot you can see that the mouse cursor is hovering over the first thumbnail, which causes it to pop-up a “tool-tip” showing the station number and location name. If you click on a thumbnail it will take you to the analysis page for that tide gauge. a. View a graph of sea-level measurements from that location (of course). That’s the blue graph trace. b. Follow links to the NOAA and PSMSL pages for that tide gauge. c. Follow links to view the “next” or “previous” tide gauge. d. Calculate linear and quadratic regressions (line/curve fitting). e. View graphical representations of the linear and/or quadratic regressions. f. View confidence intervals and/or prediction intervals for the regressions. g. View or suppress a juxtaposed graph of CO2 measurements, to see what effect CO2 has had on sea-level rise or fall at that location. h. Apply boxcar or triangle smoothing to the sea-level graph. j. Adjust the date ranges used in the regression calculations and/or displayed on the graph. k. Select the data source (PSMSL and/or NOAA). l. Save or bookmark your customized graph. 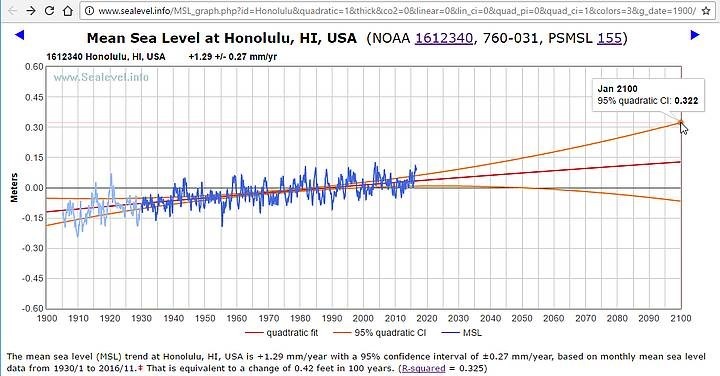 The negative sign on the “acceleration” indicates that the rate of sea-level rise at Honolulu has decelerated, but 0.01 mm/yr² is a very small number (which, if it persisted for a century, would cause the rate of sea-level rise to change by only 1 mm/yr), and the confidence interval is broader than the rate of deceleration, so it should properly be reported as “no statistically significant acceleration or deceleration” (which is also typical). Note that in that screenshot I’ve hovered the mouse cursor over a point on the graph to view the exact value (in this case, the high-end of the 95% confidence interval for 2100). These tools can produce regressions and graphs for more than 1200 tide gauges, but for many of them I’ve never even looked at the graphs. Doing regression calculations and generating graphs without manual “sanity checks” has pitfalls. So, when using these tools to analyze sea-level data, I recommend that you also click on the NOAA and PSMSL links, to view their pages about the tide gauges of interest, and I recommend that you look in particular for warnings about questionable data, apparent datum shifts, and earthquakes. There are still many rough edges to these tools. I have an ever-growing to-do list, and I look forward to WUWT readers growing the list even more. January 21, 2017 in Climate News. ← The Next Eco-Scare Story? Thanks, Dave. Yes, I find myself talking about environmentalists (and lawyers) the way Old Southerners used to deny their racism: “but some of my best friends are ___greens___” (fill in the blank). Great site. CONGRATS. Perhaps I, as a conservative conservationist, can again support an EPA that truly focuses on scientifically supported programs for clean air, water and soil. Perhaps wasted money can now be applied to real “green” programs that make a difference in citizens lives. Not all Southerners are racists. There are as many racist Northerners. DB great start on a valuable tool. Would appreciate adding one datum where available, and keep those stations flaged. Estimate of vertical land motion. According to Nils Axel Moerner, there are about 70 PSMSL tide gauges with diff GPS vertical land motion within 10km. About 30 of these are ‘newish’ and about 40 are long record. Climate change isn’t responsible for plate tectonics (Seward, Juneau in my book essay) or GIA. Dave has done a beautiful job putting this all together for easy access. Notice that sea level rise rate’s in tectonically inert places are clearly linear while CO2 has had a massive 38% acceleration since 1880. Dave’s graphics pull the rug out from under those who claim that there is ANY effect of CO2 on the rate of sea level rise. THANK YOU Dave, for being might “go to” guy for easy access to this information!!! It was supposed to be “my” vs “might,” but you have done a mighty service for all, and my fossilized brain assured that that was duly recorded as such!!! Some data pointers from my files concerning the suggested VLM addition where reliably estimated.. NOAA tech report NOS-CO-OPS 065 gives VLM via JPL GPS estimates for 16 US tide gauges (TDs). Weoppleman et al in GPC 2007 gives 224 globally (with a nice map), with 160 within 15 km of TG. Table one gives specifics for a geographically dispersed 28 globally. PSMSL website has a good discussion, with links to CGPS@TG and to SONEL for the data. Yes, ristvan, vertical land motion (VLM) is difficult to pin down. I currently have no CORS or SONEL (GPS-based VLM) data for any of the gauges, but if you scroll waaay to the right in the spreadsheets you’ll find Peltier’s VM2 & VM4 PGR estimates for most of the tide gauges (though it’s not his latest versions). I agree that GPS-based VLM estimates would be a useful addition to both the spreadsheets and the individual tide gauge analysis pages, and that adding Peltier’s (and perhaps some others’) PGR estimates to the the individual tide gauge analysis pages would also be helpful. However, a couple of years ago, during the NC sea-level kerfuffle, I looked briefly at CORS data for vertical land motion in the vicinity of NC’s tide gauges. Frankly, the data looked like garbage. The numbers were all over the place. I hope it’s better now, but the bottom line is that I’m hesitant to trust claimed sub-millimeter precision for attempts to determine vertical land motion from GPS data. Maybe if the GRASP or E-GRASP mission ever flies it will improve matters. Ristvan, would you mind sending me an email, so I have your address, for follow-up conversation? DB, on its way very shortly. Glad to support your magnificent endeavor.I agree with you that CORS and related is ‘garbage’. There are laughable peer reviewed papers trying to back VLM out of tide gauges using ‘regional’ tide expectations. That is as stupid as BEST regional temperature expectations. The NOAA tech paper I referenced is in part an example. Thats why I carefully said diff GPS ( ordinary Gps does not have the requisite vertical resolution, so you need an additional terrestrial fixed source signal). Hence Diff. That’s probably because VLM is extremely difficult to measure — especially when the amounts of motion are very small. Conventional surveying is surely pretty much useless because the reference points are likely moving up or down along with the tidal gauge. Likewise differential GPS. That allows us to see motion over a region with considerable accuracy , but even after using it, we won’t know the vertical motion of the region. The long term answer is probably measurement of “elevation” using satellites, but there are a bunch of problems with that, not the least of which is that the RMS error in satellite radial distance estimation at any given time seems typically to be several cm. It’s also genuinely harder to measure elevation than “lat-lon” using satellite references. I expect that eventually there will be good estimates of VLM for all the gauges anyone cares about, but getting them looks to be something that requires observations for a good many years using sophisticated equipment. DK, agree. But diff GPS is the best we got now. If is good enough for flat plain Midwestern farmers applying fertilizer from their $200k tractors based on minute soil elevation/nutrient gradients by acre, is good enough for me. I trust self interested farmers, since am one. Now, my farm is not flat plain (400 feet delta elevation, all contours in SW Wisconsin Uplands), and our most expensive new tractor is ‘only’ $100k. My light haying 4wd compact Ford 1810 with 770 loader bucket cost $19k back in 1985. Used. Still going strong. No GPS. My comment still applies. a) Use the data on the average seasonal rise/fall by month, coupled with the average seasonal TEMPERATURE by month, to compute what one might call the “local thermal expansion coefficient”. Warm water expands and floats on top of cold. In my back yard in Marshallberg NC (less than 10 miles from the Beaufort gauge) the water off of my dock is too shallow to even float my Carolina Skiff at all by the highest of tides in the winter, because the water itself is cold, dense, and around ten inches to a foot shallower than it is in the summer ALL the time. b) Take the mean sea surface temperature data (ideally measured AT each of the tide gauges, where somebody was brilliant enough to put a thermometer on them as well as measuring the tides, using local second source data where this isn’t available) and compute the trend expected from thermal expansion alone from the temperature trend in the local ocean (probably a very slight warming most places). c) Detrend the tide gauge with this. This is the “irrelevant” part of SLR as far as melting icecaps are concerned. Yes, it would be lovely to correct for VLM as well, but that is damn difficult given that the entire crust of the Earth experiences a tidal motion vertically (IIRC) of some 18 cm every six hours, and we don’t HAVE a tide gauge for that that reaches down to the center of mass of the Earth, accurate to 18 cm. I’m not sure that most of the GPS based determinants can even resolve this gross motion (I should stick a good GPS out there somewhere and see). I tend to think of GPS resolution as order meters (at best), not centimeters, although with better clocks and more of them in more satellites, they may eventually get there. For perspective, a 1 ns resolution clock only resolves distances at 3×10^8 x 10^-9 = 0.3 m or 30 cm. To do 3 cm scale resolution, you need 100 independent clock based rules (variance reduces like square root of the number of samples) or clocks with 0.1 ns resolution and satellites whose positions are known within cm as well. Not easy to accomplish, at least not yet, although they are working on it. But thermal is “easy”, and probably more important as it will be SIMILAR across the sites, not different. Might eventually want to add things like salinity and/or local density, which is even more relevant than temperature per se — the temperature variation is CAUSED by density variation. Uh oh. A big homework project from the professor. I especially appreciate the comments on Seward, and reading the gauges with a sense of geologic perspective. We were there ithis summer, and the Bus driver commented about how that earthquake affected the soils in the area. Large, flat areas resulted… massive subsidence and landslides. I look forward to the continuing development of your work. I would be wary of any sea level measurements on the Hawaiian islands. These are volcanos, forced upwards by magma rising from the Hawaiian hotspot in the Pacific plate. As the plate moves the volcano away from the hotspot, it slowly subsides back towards the ocean floor. Sea level changes here have more to do with volcanos and plate tectonics than anything else. Note the long chain of now submerged “islands”, which is the direction all of the current islands are going, with the possible exception of the big island itself. There’s caution to be had with any sea level measurements. But at least that can be made with “raw” sea level data. Something tells me most of the “adjustments” would tend go one way, as with adjustments to the temperature record. As you know unlike the tide gauges CU rewrites their historical data on a regular basis. Thanks, Steve! I have a brief note there, with one of your graphs. But I don’t emphasize the satellite altimetry data, because I do not trust it. However, to their credit, at least U.Colorado doesn’t block data archiving with robots.txt and/or server tricks. I wish that was always the case for NASA and NOAA. I hope that President Trump will issue an executive order, ordering that government and government-supported web sites STOP DELETING old versions of “their” (our!) data sets, to hide the extent and nature of their alterations, and STOP using robots.txt and server configuration tricks to BLOCK the archiving of old versions of their data and web pages by The Wayback Machine and other “archiving” services. Do you see it? 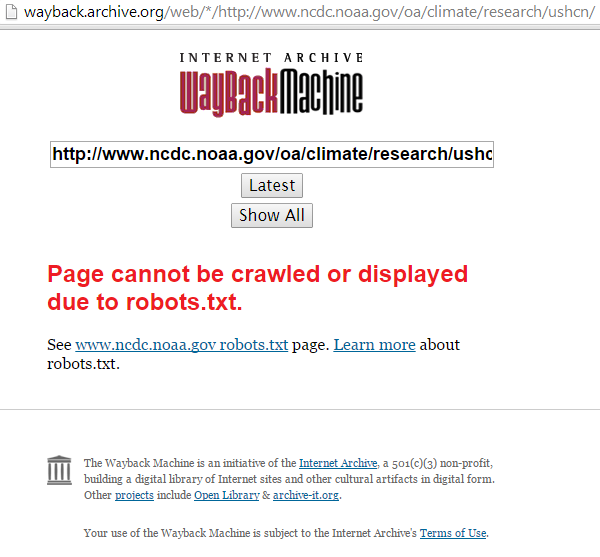 The first thing in it is the NOAA’s blanket prohibition on the archiving of NCDC data files! What possible excuse can NOAA have for such behavior? DB, 100% with you. This is a major drain the swamp agenda item. The only imaginable reason is to hide their incompetent continuing fudges. Karl got caught anyway. Yes CU are serial data manipulators with zero transparency. Totally agenda driven. Satellite sea levels are a farce and they rig the results to fit thier agenda and remove access to anything they previously showed. One example is you no longer get the chance to view the data without “inv. barometer correction”. Why that would be revelant to a global average seems unexplained and there is no way to compare to no_IB version to see what affect it has because they’ve scrubbed that version and will not even provide it upon request. Second they add in their hypothetical adjustment for ocean basins getting deeper. Since there is no measurement of that it is totally speculative and means their “mean sea level” is now floating, phantom like, above the waves. This physically unreal version of “sea level” is explained by claim that they want it to be an index which reflects global warming and thus needs to be adjusted to account for deeper oceans. Pretty much says it all about where they are coming from. Haha, what a great turn of phrase! I’m going to plagiarize that. My version is dry and forgettable. Your version paints a word picture which is vastly more memorable. I like to credit my sources. Drop me an email, please, so I know who to credit, when I steal your creative work. Thanks for the reply and links. I hadn’t gone back to check and only found your reply on a pop up on WUWT’s front page. By the way the robots got through to some of GISS table data sets. I’ve used the WayBack Machine and have gleaned about 70 world monthly GHN and Met Station only pages for my files. Interesting stuff they change the data for nearly every entry several times a year. Email me if you want copies. It’s the “scientists” that aren’t. A suggested site information addition at some point, discussion of the closure problem. I sped read resources and checked the glossary. Did not find it. There are three somewhat dodgy recent closure papers cited in essay PseudoPrecision concerning SLR. Closure uncertainty bounds SLR, and shows that sat alt must be too high. Closure is the idea that to a first order approximation, SLR should equal the sum of thermosteric rise (e.g. inferred from ARGO) and ice cap mass loss (e.g. Inferred from GRACE, using the post 2013 Antarctic diff GPS measured GIA rather than the previous faulty modeled GIA. McIntyre has a past post with details). Doesn’t address acceleration, but does bound current SLR rate from climate change. Masterful work so far. Kudos. I also agree about the closure problem — which I think deserves a lot more attention than it gets. It’s difficult to see how the CU satellite folks could screw up a rate of change, but it seems likely that they have. I did read a paper once dealing with reanalysis of the TOPEX?Poseidon data that came up with a reasonable 2.0mm/yr SLR estimate, but with a huge (+- 2.0mm/yr) uncertainty due to uncertainties in ionospheric delay models. That would seem consistent with the tidal gauges. Jason would seem to have better delay measurement on paper. But maybe not in practice. I’ve been trying to read the IPCC Sea Level writeups in the ARs. Unfortunately they have a very high EGO (Eyes Glaze Over) quotient, so I can manage only a few pages a week. it’ll be many years before I finish. My impression is that “they” actually have been plugging away at their budget for how much of SLR is due to what, and they think they are making good progress. In addition to closure, I think isostasy deserves a good deal more attention than it gets. Virtually all SLR computations seem to include isostasy corrections (usually referred to as GIA even in the tropics) of one sort or another. I’m having a good deal of difficulty convincing myself that the current isostasy models aren’t possibly introducing large, unacknowledged, uncertainties into the results. DK, agree on both. Think the observational closure problem is more important, given Feynman’s dictum. Just a quick thought …. Has anyone done the equivalent for the rise in LAND levels at specific measuring stations? Not sure what it’d prove, beyond further accentuating the ‘restless Earth’ picture … to confound those who would have us believe it can all be computer-predicted from the basis of “Settled-Science”. It astonishes me that here we are agonizing over a mm. or two of sea-level rise (and similar trivial observations) when we can’t predict where the next e’quake is going to happen and when. I am impressed by both the completeness and scope of choices to examine particular portions of data sets. To your “to do” list have you considered adding a coastal search, e.g US East v. US West? Or adding any other major geographically definable areas for comparison? 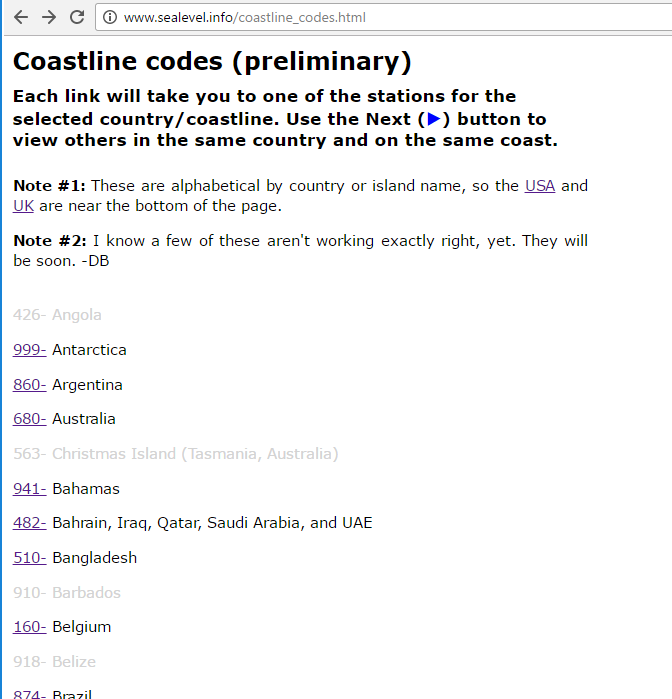 I have a list of coastline codes, but they unfortunately do not tell which coasts are which, for a particular country (and the USA has five coastline codes, plus Puerto Rico, the Virgin Islands, etc.). Great site! I hope WUWT links to it on their reference pages! Nice site …. Off Topic, anyone got any insight / info into William Happer for the WH Science Advisor? My back-channel rumor mill channels just cranked up two magnitudes. Great. For those of us that live near sea level, I just saw an osprey catch a mullet, we, among others, should find this extremely useful. Facts have an infinite shelf life, but they do get dusty and encrusted. Excellent idea and it looks good. One thing I would like to see included, although it looks much harder, is similar attention paid to local subsidence data. I have tried to look into the data at various times and it can be tough tracking it down, although when it is available it seems to be significant. It looks like a good deal of fairly long term GPS based data is becoming available, at least in the U.S. Worldwide data seems the result of scattered studies and is hard to find sometimes. Collection and providing local and regional subsidence data would be a big help to go along with the tide gauge data. I agreey, fah. The fact that the best/longest tide gauge records are from cities (harbors! ), means that there’s potentially a lot of groundwater pumping (water wells) near them, which could cause subsidence, and exaggerated local sea-level rise. I would be very interested to know what evidence supports your opinion that anthropogenic global warming is real. My understanding is that it is hard to determine what happens to the extra CO2 humans have put into the atmosphere since the 1970s, and only possible to associate warming with extra CO2 by modelling, and assuming that CO2 is the main temperature driver. DG, not DB but would like to offer some thoughts. It is not hard to determine what happens to anthropogenic CO2 since 1958 (Keeling curve). About half goes into carbon sinks nd half remains resident in the atmosphere, Salby is grossly and egregiously wrong. We know it is a GHG. We also know from ‘grey earth first principles that by itself, a doubling produces 1.1-1.2K of warming. Lindzen uses 1.2; Moncktons three part error series last year at WUWT provides data calculating 1.16K (C). What we don’t know is feedbacks. The absence of a tropical troposphere hot spot does not prove CO2 is not causing some warming; what it proves is that the CMIP5 models of that warming are wrong. FWIW, I am also a weak lukewarmer. Observational ECS ~1.65 means there is a weak positive feedback, about half of modeled. Bode sum f about 0.26-0.3 rather than 0.65. That means there is no C in CAGW. Only a little beneficial aGW. No accelerating SLR. Thriving polar bears. Greening. Think it far better to be as precisely simple as possible than erroneously challenge demonstrable basics like no anthropogenic CO2, no possible CO2 warming. What you point to is the attribution problem I comment on frequently here. …About half goes into carbon sinks and half remains resident in the atmosphere, Salby is grossly and egregiously wrong…. Thanks for your response. That point was one I was looking for direction on. Is there any definitive work showing that this is the case? My (admittedly weak) understanding of ECS calculations suggests that they do involve a lot of (unknown?) assumptions, and I don’t know enough to determine whether these are realistic or not. In particular, the impacts of cloud formation seem to be unmeasured and unknown, and they could be a strong negative feedback. First principles are easy to understand, but the question here is whether in practice the raw extra heating is completely mitigated by complex natural feedbacks or not. The assumption that observational recent heating must be CO2 driven, so we can calculate basic sensitivities from that seems to me to be not valid until we can identify pretty much exactly how the climate works – which we have not yet achieved. USGS has a carbon sinks publication with decent estimates. Google will take you there. Basic technique is assume natural sources/sinks are in rough natural equilibrium (must be so atbpreindustrial ~280 ppm for centuries), estimate recent anthropogenic annual emissions from fossil fuels and cement, then see what fraction of that shows up in the Keeling curve. For ECS, best source is Lewis and Curry 2014. You can get it plus a great discussion at Climate Etc. They used only IPCC values, and calculated different time frames to wash out natural variability as much as possible. 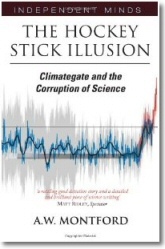 As for CO2 ‘control knob’ we have instead a strong disproof in the pause. Since except for a now rapidly cooling 2015-16 El Nino blip it has not warmed this century. Yet this century had ~35% of the total increase in CO2 ppm since 1958 (Keeling curve). More simple unassailable skeptical talking points for you. Regards. Agreed, ristvan, though atmospheric physicist Wm Happer has found evidence that the base-level warming effect of CO2 is commonly overestimated by about 40%. Of course that doesn’t mean that ECS isn’t about 1.6 and TCR about 1.0, it just means the base-level forcing from CO2 might account for a bit less of it, and positive feedbacks a bit more of it. If human emissions are about 1/30th of all emissions for any year and CO2 is mostly well mixed, how can 1/2 of the human emissions be left when the sinks are done? Shouldn’t it be equal to or less than 1/30 of the total? Hertzberg and Schreuder, 2016 concludes with ” Nothing in the data supports the supposition that atmospheric CO2 is a driver of weather or climate, or that human emissions control atmospheric CO2.” I haven’t got to read any more than the introduction to this paper but they wouldn’t agree that 1/2 of human emissions remain each year or they would have found some evidence that it controls the atmospheric content. I don’t think it makes sense to assume that all the new CO2 we find in the atmosphere each year comes from fossil fuels. Natural sources are huge, temperature sensitive, and always active. We know CO2 follows temp by 300 to 800 years from the ice cores. Earth started out of the little ice age some 300 years ago. Why couldn’t most of the new CO2 we see lately be from the warming of the oceans in the last couple hundred years and the fact that it aligns with increased human emissions a coincident? I don’t think our methods of determining CO2 levels present centuries ago are accurate enough to preclude spikes that lasted less than maybe 100 years. DB, a data correction meant in the best way. If ECS >1.2 CO2 alone, then feedback must be weak positive so TCR MUST be >~1.2. The Lewis and Curry paper estimates ~1.3. Consistency matters. Immediately I have a problem. We know that CO2 concentration has varied in the past, though we don’t know why. How can we be sure that there is no natural change going on now? And how can we be sure that it has been 280ppm for centuries? DMA below voices some typical queries. I can see that the simplest assumption to make is that natural forces have been fairly static and that variation is due to humans – that’s certainly a starting point for investigating the phenomenon – but the cost and impact on our society of CO2 limitation is so high that I would really like something better than a ‘reasonable assumption’ – particularly now that the runaway heating predicted is not occurring. DMA, your math logic is unfortunately faulty. Let me try to explain. You start from delta to natural sources (your word, emissions), but exclude equivalent delta to natural sinks. Wrong math. Your basic equation is wrongly unbalanced. Think about it. That’s the way I see it, too, Dodgy. Too many assumptions. All the warming since 1979 could be natural, just going by the recent past, when it warmed just as much from 1910 to 1940, no CO2 required. DMA, the great majority of natural CO2 sources & sinks are directly connected and almost exactly balanced. For instance, when a blade of grass grows, about half of its “dry mass” (mass not counting water) is carbon, taken from CO2 in the air. But that blade of grass generally dies and rots, releasing its CO2 back into the atmosphere, typically within a year, so unless the total amount of vegetation growing on the Earth is increasing or decreasing there’s no net change to atmospheric CO2 levels. …Think it far better to be as precisely simple as possible than erroneously challenge demonstrable basics like no anthropogenic CO2, no possible CO2 warming. What you point to is the attribution problem I comment on frequently here…. A lot of the above comments illustrate my position very well. Note that I am NOT claiming that there is no human CO2 warming. I am claiming that we just don’t know at present – the data is poor, and I believe that a lot of it has been both presented and altered for political reasons rather than to determine the truth. Great site good idea but , whenever I see “NOAA” is it possible to trust the figures . Sea levels have been rising since the end of the last ice age , doesn’t matter what side of the fence your on it’s an accepted matter of fact . NOAA doesn’t fiddle tide gauge records; if they did the Coast Guard would come after them. Unlike temperature records where they fiddled and Rep. Lamar Smith went after them and ran into an Obama inspired stone wall–until yesterday. My code does that, too, and finds numbers very similar to NOAAs. I’ve looked pretty closely at their trend analyses for quite a few tide gauges, and I’ve seen no evidence of anything other than good work by competent oceanographers. Some of the other material on NOAA’s site is pretty appalling. But not the individual tide gauge analyses, AFAIK. Santa’s elves come riding in on unicorns and put it back again? That Admiral was amazing. I cannot imagine how he kept a straight face. You want to know what else is amazing? Believe it or not, ol’ Hank was the UPGRADE. I’m not kidding. He was the sane and sober candidate who replaced Cynthia McKinney, because she was too crazy even for Georgia’s 4th congressional district, which I think must have been specially gerrymandered to contain all of the funny farms in the Peach State. Thanks for all the information on NOAA. I will look into it more. Thanks for all your work, well done. Great job Dave. I’ll be spending some time looking at all the cool things you can do on your new site. And as an afterthought,what about the Bay of Fundy,highest tide change in the world? And happens every 12 hours? Note that these are monthly averages of mean sea level which are being graphed, so those giant tides mostly get averaged out. Fungy does not have just the highest tides , it also has the lowest tides, ie. the largest tidal variation due to a unique geographic formation. That may be interesting in terms of reducing %age error but it will not affect long term rise. It is also famous for an unusual tide bore which apparently goes up one side and comes down the other. I know someone who has witnessed this but not seen it myself. Excellent site! When you average all this tide gauge data, what do you get? Thanks. It depends on which set of tide gauges you examine. There are tide gauge records as short as ten years listed, which is way, Way, WAY too short to determine a robust trend. So I suggest just looking at gauges which have 50+ or 60+ years of data. A couple of the spreadsheets were pre-pruned, to include just stations with 50+ or 60+ years of data. Alternately, you can download a spreadsheet, load it into Excel, and delete whatever you wish. I’d suggest deleting everything with less than about 50-70 years of data, plus gauges which obviously have “issues” with their data (like Galveston, which is sinking, due the the compacting fill which elevated it a century ago). I think one should also consider ignoring all tidal gauges in tectonically active areas — which is, unfortunately a very large percentage of the Earth. e.g. the entire Pacific Ocean except Australia (vulcanism), the North Atlantic (vulcanism, glacial isotasy), the Eastern Mediterranean, etc, etc, etc. Look, Dave’s making America great again already. Well done. Let me add my thanks. It’s too late at night for me to absorb all the detail, but it has been bookmarked for later. Thanks very much Dave. I’ll be around. You can match up a tide gauge station from PMSL with the GPS vertical land movement station on this page. A little tough to do but this is how PMSL wants it set-up. Just noting that they have now moved to a new world-wide vertical land movement model ULR6. This is only image for it which is not that useful but anyway. Thank you, Bill! Clearly that info belongs in the spreadsheets. This is awesome information! Thanks for creating this. BTW, you may notice in the spreadsheet that three of the nine sites show very slight but statistically significant sea-level rise acceleration. But if you adjust the analysis periods for those three you’ll discover that in all three cases the acceleration occurred more 90 years ago. None of the nine measurement records have recorded any sign of an acceleration attributable to anthropogenic GHGs. Hi David – great website thanks! Between 2007 and 2010 a series of “high quality” sea level measuring stations were installed around the coast of New Zealand. If you get around to adding more data sets to your site, the data from these ones can be found here: http://www.linz.govt.nz/sea/tides/sea-level-data/sea-level-data-downloads Its hard to make sense of the raw data so it would be great to be able to use your graphing tools. It is interesting that they seem to have recent data for Auckland, even though PSMSL’s data for Auckland ends in year 2000. Good job David. Impressive array of resources in one place. This isn’t the case. 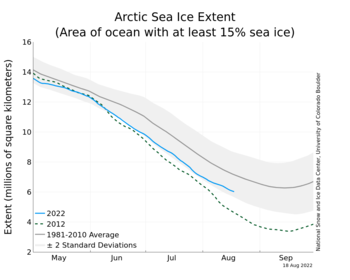 The global total is well under 14 at the moment and, in the Arctic at least, there is a pronounced long-term trend. Thank you, Tony. Yes, I wrote that before the sharp 2016 decline in reported global sea ice extent, which occurred coincidentally with the demise of the DMSP F17 & F19 satellites that were measuring it. I’m skeptical that the decline is real, but you’re correct that “hardly any significant trend” is not a proper description for 2016’s reported ice extent numbers. However, the global total is not under 14 at the moment. DMI shows Arctic sea ice extent at about 14 million square km, and NSIDC says about 13 million square km. 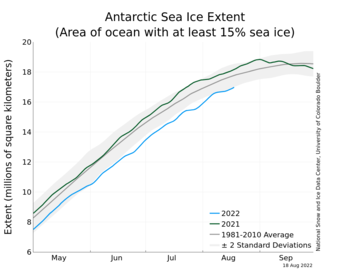 DMI apparently doesn’t analyze the southern hemisphere, but NSIDC shows Southern Ocean sea ice extent at the moment at about 3 million square km. 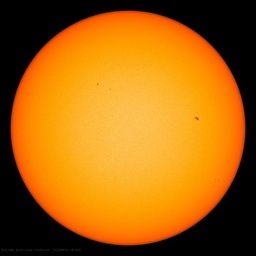 The sum is still well above 14 million sq km. True, My mistake, I confused the area graph which is showing about 13 with the extent graph. Thank you for putting this together. It is very impressive. An awful lot of hard, meticulous, work must have gone into amassing and collating that data, and much more hard work into devising methods for making it accessible. That is a science site! Yet (probably through exhaustion) you have omitted the essential item. Namely, the Doom scale. How can we use your data to find out whether we are mildly doomed, normally doomed, very doomed indeed, apocalyptically run-screaming-for-the-hills-while-civilization-collapses-around-you doomed, or worse. After all, that is what all this science is for, isn’t it? I believe Dave is using a “Doomed”-down methodology. The continents are all moving around horizontally, and the vectors given seem to indicate as much as a few inches per year in motion. Gravity strongly affects what is referred to as “sea level. How much does it do so, one might ask? As much as 100 meters up and down, simply from gravimetric effects! In other words, variations in gravity caused by differences in the density of the Earth cause the ocean to puddle up or be drawn down by well over three hundred feet, and this can be over distances as small as a few thousand miles, as it is between the central Indian Ocean (-100 meters), and the Western Pacific near New Guinea (+ 80 meters). For a whopping variation of some 180 meters, or over 590 feet, in the actual height of the ocean as measured from the center of the Earth. My understanding is that the model that has been made by geodesists, called Earth Gravitational Model, is accurate everywhere to less than one meter. I do not know how much less, but if it was millimeters, i think they would have said that instead of “less than a meter”. Then, back to the moving continents, and the gravity that moves along with them, and in their wake, and the shift from large quakes, such as the Indian Ocean quake on Christmas 2005, or the Japanese quake on March 11 of 2011. In the first, some 1700 miles of sea crust was displaced about 50 feet horizontally, and “several meters” vertically upwards over that same distance. “Several meters” is about as accurate as most of the estimates I have seen were given, and that one event is thought to have raised the entire sea level of the world by 0.1 millimeters, by lowering the capacity of the Indian Ocean basin. The whole Earth is said to have rung like a bell, with a wavelength of the motion about a centimeter! The Japanese one has been variously estimated as having even larger movements, with one estimate by the Japanese Agency for Marine-Earth Science given as moving the Pacific plate by over 50 meters, and raising the seabed by over 7 meters. Parts of Japan moved over two meters closer to the US, and a 250 mile stretch of coastline dropped by two feet! The entire axis of the earth shifted by as much as ten inches, and the length of the day and tilt of the Earth were altered. The Earth is now spinning faster, and each day is now 1.8 milliseconds shorter. Sound waves from the quake altered the orbit of the GOCE satellite, making it the first time an earthquake was measured from space. Some think it may have caused at least one glacier to slip by half a meter. One thing to et from this is that such things are always occurring gradually as a result of small slippages and cumulative effects of all the motions of the Earth. The Pacific plate in that area moves nearly four inches a year. Measuring sea level changes to tenths and hundredths of a millimeter over the whole Earth, knowing all this? Not to mention what it implies about stuff no one may have ever thought of? Although to tell the truth, I never felt a thing, even though I am a light sleeper and was right here in Fort Myers. A very interestig post, Menicholas. The CBC beside still running an anti-trump campaign is also an arch-supporter of the global warming scare. Too many “clearly” Bobby… and a straw man: climate change? No, alarmist climate change stuff that Bobby pushes 24/7/365 on CBC. Ah Bob McDonald uses the discredited Lewandovsky study and since Bob McDonald is not informing but propaganding, he avoids carefully to offer the reference to his little novelty act. Much desired tool. Thanks, Dave. Should raise more questions than answers. Graphing San Diego from 1980 we see peaks during the ’82-’83, ’97-’98, and ’15-’16 very strong El Niño periods. Up the coast at Crescent City there are peaks in ’83 and ’98, but not in the ’15-’16 period. 1980-2017 trend at San Diego is +1.83mm/yr. At Crescent City it’s −1.48mm/yr. 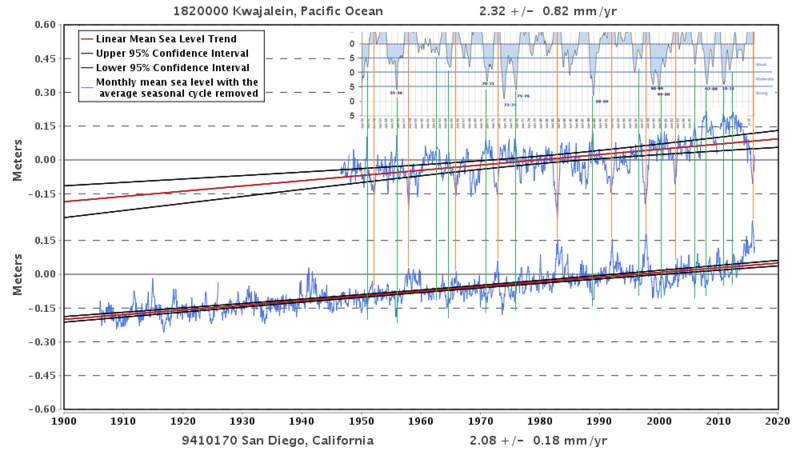 Yes, San Diego’s sea-level is strongly positively correlated with ENSO. On the other side of the Pacific, just the opposite occurs: sea-level is strongly negatively correlated with ENSO. The moral of the story is: oceans slosh. really a usefull site! Thank you for your work. I used your tool for an hypothetical search of Italian tide gauge stations so tried “Venice Italy” and got a “no data” page. Next I wrote “Venice”, with the same result. The last try was to use the original name i.e. “Venezia” and got the plot of the Venice tide gauge station named “Venezia Arsenale”. Fine! At this point your site had (almost :-)) no more secrets for me, so tried “Napoli” (i.e Naples) and got a fine plot of the … Annapolis tide gauge station! Fine but not so useful to the supposed research on Italian stations. and get the plot there (and also the dataset) but I would like to use your site. Ah, yes, I definitely need to get a search working which will return multiple results! Also, the Prev/Next arrows at the top should follow the coastlines; they need much improvement. 1. Find some other Italian gauge. 2. Click on the PSMSL ID at the top, to view PSMSL’s info about that location. 3. Use their map to find the gauge you’re actually interested in, and click on the marker. 4. Note the PSMSL station ID for that station (129 for Naples). Deceptive chart, using meters instead of inches to make results look less aggressive. At least it clearly shows sea level is rising. peaks are higher than previous peaks, lows are lower than previous lows. I’d expect a SCIENTIFIC view to be less manipulative. Even in the USA, most sea-level researchers use meters (or millimeters), rather than inches. Did you notice that NOAA’s graphs show sea-level in meters? The fact that sea-level is rising (very slowly) at most (though not all) of the best long-term tide gauges is well-known. What you need to understand is that >70 years of heavy carbon emissions, from heavy fossil fuel use, which has driven CO2 levels from 310 ppmv to over 400 ppmv, has nevertheless had no detectable effect on the rate of sea-level rise. Kudos to Dave Burton for putting this together. I imagine there was quite a lot of work went into doing this. I do have JS enabled. The lack of a valid station was the error , not JS. If you need to test for JS , maybe do it in the onload event and test for it explicitly. Also consider using NOSCRIPT html tags on the entry page to display this error message. 2/ Implement a proper filter, not “boxcar” smoothing. See my article on how running averages distort the data and for information on better options. 3/ The quadratic fit for acceleration is not valid. You are nailing one of the variables which should be free: the starting date for the acceleration. This must be a free variable to assess when the acceleration started otherwise you are imposing your own preconceptions on the data. Jevrejeva’s papers on tide gauges find no acceleration in 20th c. but there was acceleration between 1880 and 1900. By fixing the year zero as 1960.95 you are assuming that there is an attributable CO2 effect and going to look for evidence. This is exactly what the alarmists have been doing all along. You should look for an acceleration across all the data *without assumptions* of the cause and then one can assess whether it coincides with human emissions or whatever. 4/ What is the CO2 line supposed to show us ? Presumably you intend to allow a comparison and infer whether there is some temporal correlation. In that case you need work out right physical variable. One would then want to see the two on comparable scales, the MSL data is squashed into fraction of the vertical axis and does not allow even a realistic visual comparison of form. A lot of people ( sceptics ) have produced this kind of graph to poo-poo the idea of CO2 affecting various climate variables and it is very flawed. You must present two things which are at least theoretically related. Ideally you would also present some kind of correlation coefficient between the two datasets with an indication of significance for the number of independent data points available. Aside from those points it looks like it could shape up into being a very handy tool. Thanks for the effort in putting this together. PS In fact if you want to fit something it should be a fn which could be seen to represent , at least crudely, the assumed , cumulative effect of GHG. A parabola does not fit this , so fitting a parabola is not really informative. re point 3, my mistake, it seems that the start date is free. Honolulu shows negative accel. Could you explain why you are using 2*A as the accel. surely it is simply A . No worries, Greg. David Appell, PhD had the same confusion (but was too proud to admit it). I’ve added the error-handling bug that you identified (#1) to my to-do list; thanks. I have an option to disable the CO2 trace, because you often won’t want that on your graphs. But it’s turned on by default because the (lack of) relationship between CO2 and SLR is the defining issue which (dis)connects SLR to arguments over efforts to curtail CO2 emissions. Wildly accelerated sea-level rise is usually claimed by climate alarmists to be the #1 negative consequence of burning fossil fuels. Without a connection between elevated CO2 and accelerated sea-level rise, there’s no justification for even mentioning sea-level when talking about anthropogenic climate change. That error handling bug (#1) is now fixed. Admittedly skim reading, so apologies if I missed the explanation, but why exclude data before 1930 for calculation when you want to show what the data shows? By default, these graphs do not exclude data before 1930 for calculations. But you can use the options to configure that, if you wish. You might want to do so, because the most famous sea-level paper of all, Church & White 2006, “A 20th century acceleration in global sea-level rise,” reported a “clear change of slope at ~1930” — when CO2 was under 310 ppmv. They also wrote that “much of the acceleration occurr[ed] in the first half of the 20th century rather than a smooth acceleration over the whole period.” That was actually an understatement. When I reanalyzed their data I discovered that all of the acceleration was prior to 1930. After 1930, their data actually showed a small (statistically insignificant) deceleration in the rate of sea-level rise (doi:10.1007/s11069-012-0159-8). So the “20th century acceleration” in sea-level rise which they found obviously was not due to the big increase in CO2 levels since 1945. It could not have been, because all of the acceleration predated 3/4 of the CO2 increase! The relevant question for the climate debate, to help answer policy questions about what we should or should not do about CO2 emissions, is what effect anthropogenic CO2 actually has on sea-level rise. If you’re going to look for sea-level rise acceleration as a consequence of anthropogenic CO2, then it only makes sense to examine the period of time when CO2 levels were rising substantially. So it is reasonable to exclude data before 1930, or even, perhaps, before 1945. The trouble with this kind of approach is that you are excluding information. You would need to show that there was no rise before AGW then accelerating rise since GHE is considered significant. If you preselect a period there is a likelihood that there will be some rise or accel which is not due to AGW but happens in that period, leading to spurious assumptions. You need to work out what AGW says the forcing calculation should be and then compare to the longest records and see whether there is some matching both to periods with negligible AGW and recent periods where it should be strongest. Either you sum the forcing over time as I did, or you go to a second order approximation and workout what the feedbacks are to increasing temp ( primarily Planck f/b ) and subtract that from the sum of the basic forcing. In view of the lack of understanding of climate that will quickly become speculative and open to question. For my money the simple first approximation of the integral of radiative forcing is the most useful first step to get an overview. All this is done with arbitrary scaling so even if there is a match in form it is not proof. You’ d then need to look at OHC, depth of warming etc. and it quickly gets unhelpful. Currently, nothing is excluded from the calculations. That’s clearly a mistake for cases like Seward, so one of my “to-do items” is to default to starting the regressions for such sites after the earthquake or other discontinuity. When I get the proverbial round tuit. A terrific and useful website. I’ve spent a little time comparing the graphs of NOAA and PSMSL to see how close the trends are for each site. I have a question about Gibara, Cuba. The trend for 40 years is remarkably similar. But NOAA stopped at 2011 and PSMSL continued to 2014 with a straight up rise by 1 meter in 2012. Obviously, there is an error. But my question is whether you know of any coordination and reconciliation by individuals in these two systems. I’m surprised that such a large error is allowed to stay in their systems. The data is what is recorded. That is proper. If there are QA issues this kind of thing needs to be checked against meta data like site and equipment changes that are hopefully logged. DB did specifically draw attention to this issue. The Gibara problem is my own bug. My code combines data from two sources, and it’s not quite as easy as that sounds. PSMSL’s data is in mm, unadjusted. NOAA’s is in meter’s, referenced to a different baseline value, and the version I prefer to use is seasonally adjusted (i.e., with a calculated seasonal cycle subtracted off). Usually, my code successfully translates from one to the other, so that I can combine the two data sources. Obviously my code broke for Gibara. I’ve not yet had time to find the bug, but I’m sure it’s my bug. That’s a bug in my code. It’s already on my to-do list, but I haven’t gotten to it yet. Tide gauges are moved sometimes by several meters vertically, the reported figures are adjusted to take account of these moves. Though a tiny error in the adjustment would affect the SLR of adjusted figures. Adjustments are sometimes made retrospectively and can be huge. My favorite is Workington in UK which was adjusted from +7.85 to -7.24 during 2011. Another thing that can lead to bias in attempting to draw global trends or other figures is that land movements vary a lot in both directions and are not equally distributed at the site we have, many longer ones been centred or Europe or N. Am. This is quite a difficult subject as a quick look at the literature will reveal. DB’s new site will however, provide a handy tool to looking at specific records. There are three major breaks in that record. You can not just ignore that and assume the various sections are compatible. Very interesting web page, Jeremy; thank you for the link! Tribeni, India is astonishing. I wonder what’s going on there? Some of the graphs the Jeremy pulls out demonstrate precisely why you can not just “average” a ton of garbage and hope that it will mean something. You must do some serious QA pre-selection . Nice work – great site! I’ve just been arguing with a bunch of alarmists over a sea level story on the New Yorker magazine’s Facebook page – one of the few liberal sites that allow images in the comments. This will come in handy! That’s 0.4 mm/year/century “acceleration”. Sod all. How long did it take you to develop this tool? Amazing to the average Joe’s like me who visit here. I haven’t been keeping track, Ron. It’s been a big project, which took longer than I expected. A lot of other things have gotten neglected. Another engineering adage: the last 10% takes 90% of the work. Dave Burton: You have created a wonderful site. Thank you. 1. I see some West Coast Canadian stations in the GLOSS list. Perhaps a next step could be to add a separate station list for all of Canada. Or have I just not found the East Coast stations yet? 2. Check Elfin Cove, AK. Two errors occur when displaying the data. Those warnings are “debug code.” Elfin Cove has only 10 years of data, and a lot of very short data records trigger those warnings. It’s because my code does some of the calculations two or more ways, and compares the results, to try to make sure I’ve done it right. For very short records the calculations often don’t produce exactly the same answers. When I figure out which way is best, I’ll use it and suppress the warnings. Dave’s graphs are flattening the MSL which does not really show the form of the variation. I have also applies a 12mo gaussian filter to get rid of fuzz. curvature in the middle portion of the graph is completely the wrong way around though I’m sure a warmist would look at that and declare it is a “prefect” match. I don’t think it’s correct to integrate the CO2 forcing. It’s CO2 levels (well, the log of CO2 levels) that affects temperatures, not the integral of the log. If all you could measure was CO2 emissions, so your “forcing” had to be CO2 emissions (rather than levels), then you could integrate it, to approximate its effect on levels. But CO2 levels already represent integrated CO2 emissions, to the exact, correct extent that nature “integrates” (accumulates) them. If you integrate levels, the result of that calculation seems divorced from anything physical. Dave, if you convert solar radiation to heat ( hot water ) using a roof top water heater, it matters how long the sun is shining during the day. The temp increase is the integral of incoming radiation over time. That’s essentially what I am doing here. The “flattened” scaling of the vertical axis is simply a consistent vertical scale for most sites, intended to be broad enough to “work” for most sites, and similar to what NOAA uses. The way my code draws the vertical axis, there are always nine labeled points. By default, they are 0.15 meters apart, which is what NOAA generally uses. When that would result in any of the traces not fitting on the graph, the vertical axis increments are increased: to 0.20, 0.25, 0.30, etc., per increment, as necessary, to make everything fit. 0.15 meters per increment was NOAA’s choice for most of their MSL graphs, but I think it was a reasonable one, which is why I used it, too. It’s a compromise, of course. If you make the default increment much larger than that, so that fewer graphs would require non-standard scaling, to get better consistency between the graphs for the different sites, then for the most typical graphs everything looks almost like a horizontal line. Not good. If you make the increment as small as you possibly can for each graph, so that the traces are scaled to “use” maximum possible vertical range, then when you compare the graphs of different sites most of them would look pretty much the same. The graph thumbnail sheets would become quite misleading, because the graphs for the sites with the highest rates of SLR would look just like the graphs for the sites with lowest positive rates of SLR. Only the sites where MSL is falling would look distinctly different — also not good. I guess I could add the vertical scaling to the list of options, and let the user override it, if he wishes. I used gnuplot to produce the graph above. It automatically scales the data as large a possible to the nearest axis tickmarks. A typical, more rigorous, way would be to “normalise” both variables to standard deviations. If the idea is to allow the user to make a visual comparison of the two the noise needs to be removed from the MSL data with a suitable low-pass filter and the scaling needs to be compatible. Unless we can assume that climate will equilibrate in a decade or so and thus say dRad = &lamba; dT then we do need to integrate the forcing power term to get an energy quantity which can be compared to the change in thermal energy to which thermal expansion is attributed. Since IPCC says it takes many hundreds of years to reach a new equilibrium, then that second option is the correct way to go. However, IMO, the main thing is filtering the noise and proper scaling to enable a realistic comparison. Just sticking ppmv on top of a flattened MSL is misleading. Since both are rising there will be some similarity but a proper comparison shows that it does not go further than that and the form of the changes are not suggestive of a direct causal relationship. All climate variables go either up or down and thus can be suggested to be either correlated or anti-correlated to CO2 if we draw straight lines through any and all data. W/r/t temperatures, it is generally expected that about 2/3 of of the effect of a forcing will be seen within twenty years. That’s why ECS is generally estimated to be about 1.5 times TCR. My study of the tropical response to Mt Pinatubo eruptions found much faster equilibration which implies very low climate sensitivity to radiative forcing, but this is not what IPCC etc say. what is the source for that 20y figure? W/r/t temperatures, it is generally expected that about 2/3 of of the effect of a forcing will be seen within twenty years. When I ask where you got that you send be to google search for a definition of TCR. TCR is the effect of a 1% increase over 70 years ( a doubling ) at the end of 70 years. That does not answer the question of your 20y claim. On a quick check of a few results there I do not see any mention of your 20 years. What are you basing that on? IPCC graphs do not seem to settle in 20y ! This is what I get from a google search. Is it not what you get? Following the lead of global warming climatologists one might assert that the ratio between a basketball player’s height and the circumference of his big toe is “the height-to big-toe-circumference sensitivity,” implying that this ratio is a constant. even though to imply this ratio is a constant is preposterous as there is no reason for belief in the proposition that this ratio is a constant. Thanks Dave, I had not seen the text you highlight, though it does appear lower down the results I get. I would have seen that is was a WP entry and ignored it without reading since WP is totally unreliable for anything about climate. However, if you read it carefully it just says the TCR is the change in temp over 20y centred on the end of the 1% per year for 70 years increase. So that is just an arbitrary period over which they measure the slope, it is not the time to settle. So they are expecting the 20y slope to be representative of the change over 50-100 y. That is more in keeping with the IPCC graph I posted. It seems that you misinterpreted what that 20y period represented. I think this justifies the calculation I did as a first approximation of accumulated energy to be compared to thermal expansion of the oceans and thus MSL time series. However, if you prefer to assume instantaneous ( one year ) equilibration and just take the instantaneous forcing instead of the sum, the result is not hugely different, so probably not worth a more detailed argument in this context. The main question is to put the two variables fullscale on the graph. I realise why you are using the common, one size fits all scaling for MSL and NOAA does then same when just presenting MSL. The problem arises when you put another data set on the same graph with a different vertical scaling. The result is misleading as I have detailed above. Just look at the actual plot of the data for the Battery not the manipulated on shown by Greg. The real plot tells a clear story. Dave, thank you for this site, it will be helpful to understand seal level rise. I have produced an “actual plot” as well. What exactly is your objection to the processing apart from your finding the result provides less conformation bias? Why is one plot more “real” than the other? Please try to make a reasoned criticism. I too think Dave has made a great site, though he has quite a few things on his TODO list. I’m sure will get even better. BTW Dave used the 75y “smoothed” data from Law Dome. I used their 20y “smoothed” version. All data is “manipulated”. If you have a technical objection I’ll try to address it. The only thing I “manipulated” at Battery, was to filter out the annual noise and used the full range of the vertical scale so that we can see the longer term variation more clearly. If the MSL: data is to be presented within two vertical boxes, the CO2 data should be shown on a similar scale. Stretching one and not the other gives a misleading impression that they are very different, like one is flat and the other ramps up. 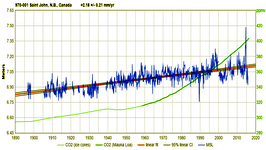 My graph shows that for much of the record MSL at NY is decelerating just when CO2 forcing is ramping up. One can then argue about what that may indicate but it is a proper way to compare the variability in the two records. One comment: The pages listing data for individual sites present trend and acceleration data in mm/year and mm/year^2, respectively. However, the spreadsheets for a collection of sites (e.g., “NOAA’s 2016 list of 375 long term trend tide stations”) appear to use meters/year^2 for acceleration values, resulting in very small numbers. Putting acceleration data in mm/year^2 rather than meters/year^2 might be less confusing and would allow more significant digits in the spreadsheets. Oh, my, you are right, Stephen! 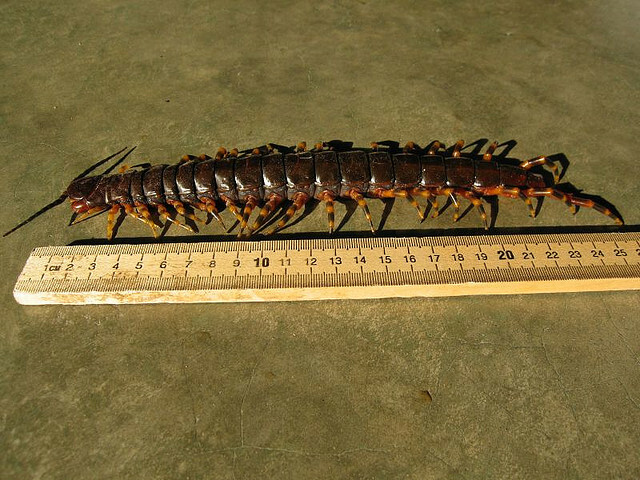 That’s a big, fat, ugly bug. I’ll eradicate it in a few hours. Thank you, for noticing this, and bringing it to my attention. Fixed, with gratitude. You’re top of the leaderboard for “best bug report” award, Stephen. This information makes a mockery of Al Gore’s latest movie. No, Al Gore makes a mockery of Al Gore’s latest movie. Even climate alarmists think it is boring as hell. As a skeptic I am still trying to get my arms about this from Rutgers especially the sea level rise table along the shore at 3.5 feet by 2100 (central) and 10.1 Feet (collapse), any comments? The mean sea level (MSL) trend at Atlantic City, NJ, USA is +4.08 mm/year with a 95% confidence interval of ±0.16 mm/year, based on monthly mean sea level data from 1911/9 to 2016/11. That is equivalent to a change of 1.34 feet in 100 years. The mean sea level (MSL) trend at Cape May, NJ, USA is +4.55 mm/year with a 95% confidence interval of ±0.54 mm/year, based on monthly mean sea level data from 1965/12 to 2016/11. That is equivalent to a change of 1.49 feet in 100 years. New York City saw a small amount of apparent sea-level rise acceleration in the late 19th century, but none in the last hundred years. The mean sea level (MSL) trend at The Battery, NY, USA is +3.10 mm/year with a 95% confidence interval of ±0.16 mm/year, based on monthly mean sea level data from 1916/12 to 2016/11.‡ That is equivalent to a change of 1.02 feet in 100 years. Dave,many thanks for your reply, It appears that the Rutgers claim is severely erroneous. Ergo, I plan to keep my shore house on the Barnegat Bay which did not flood during Sandy Super storm but was close. It is good see an honest environmentalist at work. I am sure Donald Trump would have no problem funding the honest researcher after he reviews and puts a squeeze on where the money is going at the moment. Regression analysis fails to respond to to the so-called “problem of induction.” The problem is of how, in a logically justifiable fashion, to reach general conclusions from specific instances of them. This problem has been solved but most people don’t know of this advance.